One strategy small businesses use effectively to personalize their brand and build a rapport with the audience is to use YouTube videos to introduce their company’s leaders and position these people as spokespeople who appear in videos. Some company spokespeople have even achieved celebrity status from starring in YouTube videos to promote themselves, their products, and/or their companies. 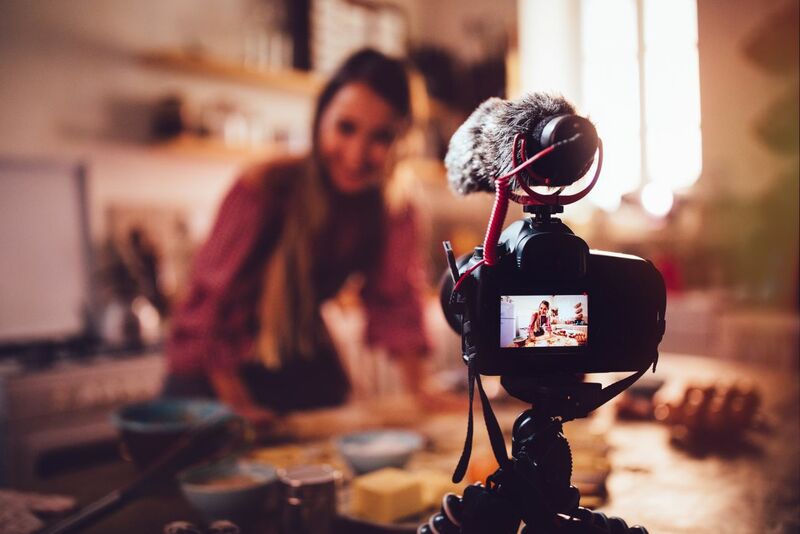 If you’re a small-business owner with a big personality, consider starring in your own YouTube videos to help build your company’s brand, tell its story, and promote its message. Featuring the actual leader of your company can help personalize your business and build its credibility. You could also demonstrate products, speak authoritatively, and boost your company’s brand recognition and reputation. One reason YouTube has become so popular is that in addition to watching countless hours of entertaining videos, people can quickly find informative and easy-to-understand how-to videos about any topic imaginable. As a business owner, chances are you have expertise that other people could easily benefit from. YouTube offers an informal yet powerful way to communicate directly with your customers, in your own words, in a forum that gives you absolute control over the content. Using a bit of creativity, chances are you’ll come up with a handful of ideas about how your business could benefit from communicating directly with its customers (or potential customers) using YouTube. For example, you could create a product demonstration or product comparison video. Other options might be to showcase customer testimonials in a video or to create how-to videos that explain how to assemble, operate, or use your products/services. One popular trend on YouTube is for companies or individuals to produce “unboxing” videos. Basically, someone takes a new (still packaged) product, then films themselves opening and using the product for the first time, as they share their initial impressions. These videos are watched by people interested in the product, but who haven’t yet purchased it. In addition, many companies have dramatically cut costs associated with offering telephone technical support by supplementing printed product manuals and product assembly instructions (which people hate to read and find difficult to understand) with informative how-to videos that are highly engaging. Showcasing products on YouTube is a low-cost yet highly effective way to demonstrate products to your customers, showcase features, and explain how to best use a product especially if you’re operating an online-based business or there’s an online component to your traditional retail business. In addition to showcasing a product’s features or functions, you can use YouTube videos to answer commonly asked questions. Keep in mind, people who use YouTube don’t want to watch blatant commercials for your products or services. Consumers are already bombarded with advertising in their everyday lives. While your videos can certainly promote a product or service, and build awareness or demand for it, take a soft-sell approach that’s entertaining as well as informative. Many businesses have discovered that producing YouTube videos as an instructional tool can help improve customer loyalty, reduce returns, and allow a business to enhance its customer service efforts without putting a strain on resources. How-to videos for a product offer a different approach than a product demo, yet both approaches can benefit businesses looking to promote and sell products. While a how-to video is designed to teach someone how to do something, a product demo simply showcases a product’s features or functions and gives the viewer a chance to see a product in action. Either type of video can be used as part of a business-to-consumer or business-to-business sales and marketing strategy. Instructional videos can help to reduce incoming customer service (and tech support) calls. You can produce instructional videos to teach people how to assemble and/or use a product, for example, plus help customers easily discover the true potential of a product, while eliminating their potential frustration. Your videos can also be used to highlight lesser-known features of or uses for a product that your customers might not otherwise consider. If you’ve presented a lecture, workshop, or some type of presentation, consider uploading the edited video footage of it to YouTube for your customers, clients, and the public to see. This will help establish you as an expert or authority, allow you to convey valuable information to potential customers and clients, plus help you build awareness of you and your company. This information can be supplemented with an animated and narrated digital slide (PowerPoint) presentation that you post on your YouTube channel, and/or include a recorded one-on-one interview with you talking about something in which your (potential) customers or clients would be interested. Every company has a story to tell, as do the founders or current leaders of that business. By telling your story, chances are, you’ll be able to enhance your customer loyalty and brand awareness, while also educating the public about what your company does and its core philosophies. Any type of behind-the-scenes videos can also be useful. For example, you can produce and publish a video that focuses on how your product(s) are made, provide a tour of your company, and introduce some of the people who work at your company within the video(s). If you’ve invented a product, you can explain where the inspiration for the product came from and why you’re personally passionate about the product. I agree with you – promoting products via entertaining videos is a great way to increase demand for them. 20 Revelations From Facebook CEO Mark Zuckerberg&#039;s Apology Tour How Does Google’s Mobile-First Indexing Impact SEO?